Businesses nationally and throughout our area have developed special reward promotions that benefit non-profit organizations like our school. Many of these programs are effortless and they can provide a generous amount of money for our institution. The money directly impacts our children, as it is used to fund programs and purchase materials that we otherwise couldn’t afford. Please review the following list and see how easy it can be. It only takes minutes of your time, but if we all participate our children will reap the rewards! Submit your Clements' Market receipts and they will give back 1% of the subtotal to our school. Send your Clements' receipts into the school all year long. Cut and collect Box Tops and submit them to school in an envelope, ziplock bag or fill out one of the monthly sheets sent home by taping or gluing the Box Tops on them. Melville School receives 10¢ per label. Accrue points with each purchase where the Stop & Shop Card is used, even with purchases made online with Peapod while still being able to use your gas points. At the end of each month, these points get converted to cash and are credited to Melville’s account. Your card will need to be registered every year. The website to visit is: https://stopandshop.com/school-rewards to register your card today! The MPTG has a Staples account set up for recycling ink cartridges. Just bring your empty cartridges to Staples, reference the school phone number (401) 683-1650 and select Melville Parent Teacher Group. For every cartridge recycled, $3 will be issued in Staples credit for teacher and publishing room use! Melville has a Benefit Mobile App set up for virtual gift cards. Download the app to your phone, make instant purchases in a wide variety of stores while in line for checkout or while shopping online and we receive up to %10.5 of your purchase amount. It costs you nothing but the time to download the app and use it! Stores supporting the app include places such as Amazon.com, Petco, Chili’s and Old Navy. 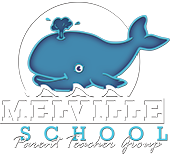 We also have an Amazon Smile account for Melville. Sign up once for free and forget it! Amazon donates %0.5 of your purchases to the MPTG. Visit http://smile.amazon.com/ch/74-3217310 to enroll. There is a Goodwill Bin for used clothing and small toys in the main parking lot at Melville. They will even except stained items, broken items and single shoes. Melville receives a by weight profit from Goodwill. The bin is emptied weekly.